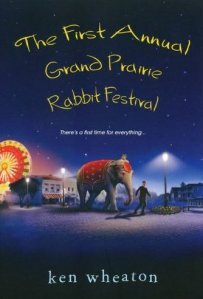 Consider reading “First Annual Grand Prairie Rabbit Festival,” by Ken Wheaton. Available from ODL. This novel is a romp through rural Louisiana, with a young Catholic Priest, “Father Steve.” Wheaton, through Father Steve, develops the characters into people the reader can like and believe in. Wheaton is a storyteller. His characters are likeable and faced with real situations. Miss Rita, daughter of a slave, raised Father Steve and she still has an influence on his life. Vicki is the illegitimate daughter of the previous priest at St Pete’s. Mark is an ex-priest, who is now openly gay. Their adventures are hilarious and their world is heartwarming. Take a peek at Wheaton’s blog.